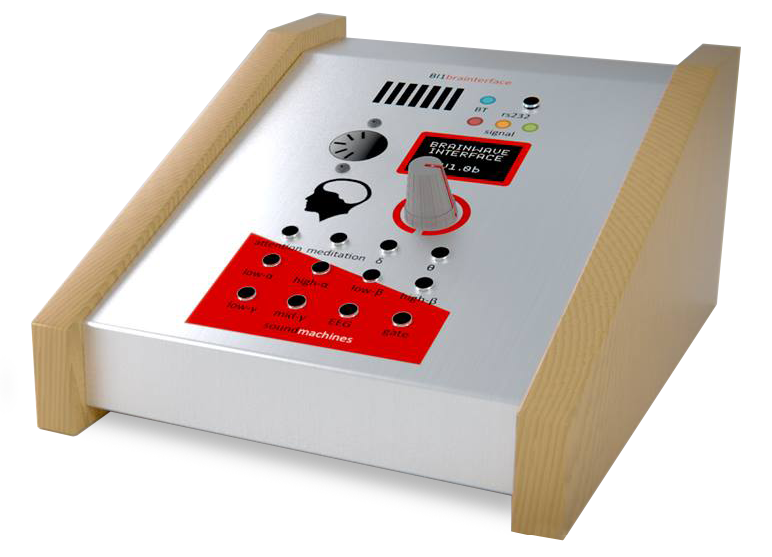 soundmachines starts as a brand in 2013 by the combination of several factors: the passion for electronic music, the deep knowledge of electronic and the flexibility offered by SPES, active since 1995 in many electronic markets. From 2013 soundmachines invents, manufactures and sell around the world a family of products, about twenty, that are some of the most interesting and creative eurorack, synth, lights controllers, brain interfaces and more. SPES has engineering resources and significant industrial experience in highly competitive sectors. One of the specialties of SPES is the ability to deliver technology seemingly very different areas distant. Born as a challenge, soundmachines has been able to use the technological know-how of SPES to create a family of music products.Technology management load of an industrial plant has been taken over and reinvented to create a system to interface with the analog voltages that govern a synth. Another example are the modules used worldwide professional lighting (DMX). The Synesthesia module makes it possible to drive lamps or moving head fixtures following the trend of the control voltages which control the filters, vca and mixers. An all-in-one sound factory, our MODULÖR114 eurorack analog modular synthesizer is our first product designed as a complete and powerful unit. 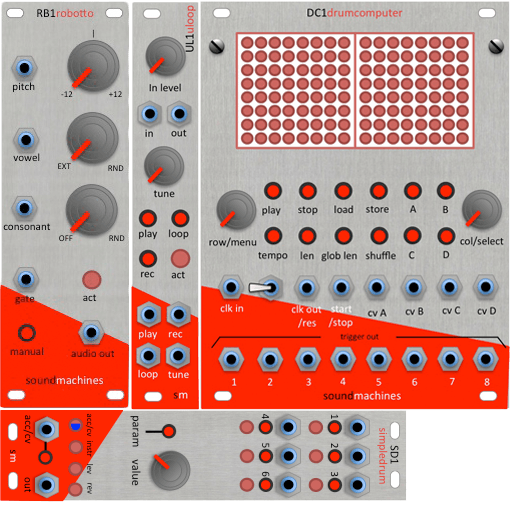 A great entry ticket to the modular world for someone, a treasure trove of sounds for others, the MODULÖR114 encloses the most sought-after analog textures and the modern additions that renders this product unique.